Recent review: Mariachi Oro de Mexico performed at our office party and they were absolutely amazing! Recent review: Hired them for Father’s Day. They were on time and performed well. Everyone enjoyed it. It's a surprise Birthday Celebration for my sister Julia. Arriving on the music scene in the late 19th century, Mariachi Bands brought an upbeat yet traditional sound to Mexican culture. With a blend of guitars, violins, trumpets, the guitarron, and the vihuela, Mariachi music can truly liven up a party! The upbeat authentic Mexican folk music is the perfect accompaniment for wedding receptions, Cinco de Mayo parties, and so much more. 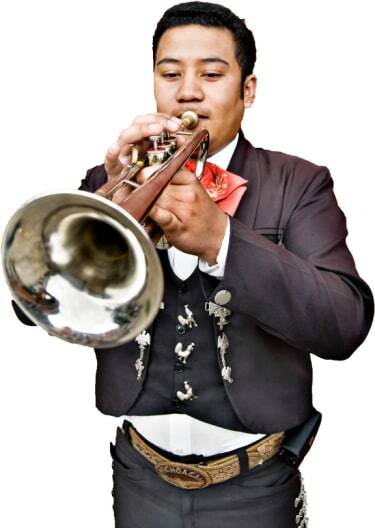 Search for Mariachi Bands in Allentown, Pennsylvania above. Please note that these Mariachi Bands may also travel to Lehigh Valley, Whitehall, Catasauqua, Fountain Hill, Wescosville, Center Valley, Emmaus, East Texas, Coplay, Limeport, Northampton, Orefield, Freemansburg, Macungie, Trexlertown, Hellertown, Coopersburg, Old Zionsville, Zionhill, Zionsville, Neffs, Schnecksville, Fogelsville, Treichlers, Springtown, Breinigsville, Cherryville, Bath, Alburtis, and Spinnerstown.